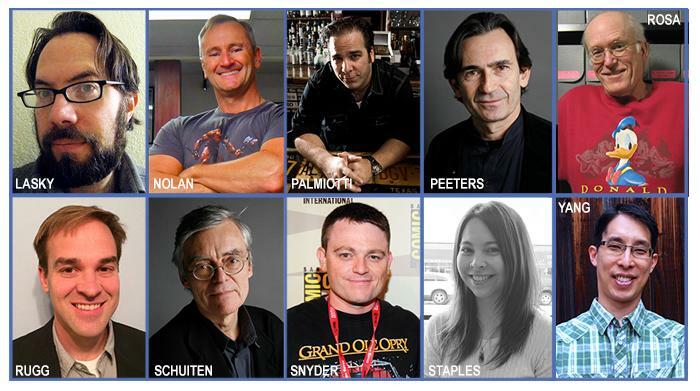 Comic-Con International features one of the most diverse guest lists of any convention. The first wave of guests for 2014 includes creators from mainstream and alternative comics, graphic novels, comic strips, animation, and science fiction and fantasy books. François Schuiten and Benoît Peeters are among the first 20 special guests 1). Comic-Con International: San Diego returns to the San Diego Convention Center in 2014, beginning with Preview Night on Wednesday, July 23, with the four days of the event running Thursday, July 24 through Sunday, July 27. 2014 marks the 45th year for the show, making it the country’s longest continuously-run comics and popular arts convention. This blog post was created on 2013-12-21 at 17:49 and last modified on 2018-05-06 at 08:40 by Joseph Le Perdriel.